Cardiff will welcome more than 170,000 people and a global broadcast audience of 200 million when it hosts the UEFA Champions League Final in June. UEFA’s showpiece final will take place in the Welsh capital on Saturday, June 3, at the National Stadium of Wales (the name of the Principality Stadium for the event). The UEFA Women’s Final is at Cardiff City Stadium on June 1 with a 7.45pm kick off. The event is estimated to have an economic benefit of approximately £45m to Cardiff and the wider region. Throughout the knockout stages of the tournament, The Road to Cardiff branding has been used at every game and it is expected to reach a global TV audience of 1.3 billion people by the end of the competition. With final preparations in full swing, the city is pulling out all the stops to make it an event to remember. A free, four-day UEFA Champions Festival is being staged in Cardiff Bay from Thursday, June 1, to Sunday, June 4. Hosting such a major event will see one of the biggest ever security operations staged in Cardiff as well as road closures in and around the city centre and Cardiff Bay. During the four days of the festival, there will be extensive road closures in Cardiff Bay. And a number of city centre roads will be closed from midnight on Friday, June 2, to the early hours of Sunday, June 4. There will be an increase in visual policing and some officers will be armed due to the heightened global threat of terrorism. Extra security measures will be in place on certain roads to create an Inner Secure Area in the city centre. 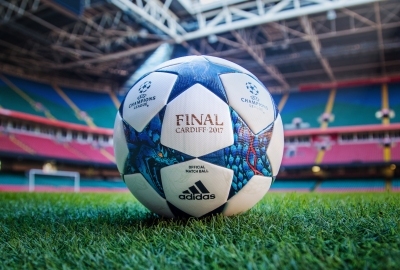 Neil Hanratty, City of Cardiff Council’s Director of Economic Development, said: “Playing host to the UEFA Champions League Finals will create a huge and lasting economic legacy for Cardiff which will continue to be of benefit to the city for many years to come. “It has been estimated that this hugely prestigious sporting event will have an economic benefit of approximately £45m to Cardiff and the wider region. “Throughout the knockout stages, The Road to Cardiff branding has been used at every game and is expected to reach a global TV audience of 1.3 billion people by the end of the tournament. 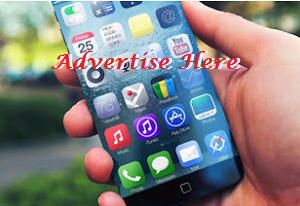 “And the monetary value of the print, broadcast and online media coverage of the UEFA Champions League and Cardiff is estimated to be more than £8.5m. Jonathan Ford, Chief Executive of the Football Association of Wales, added: “The spotlight will be shining on Cardiff and it will once again give us the opportunity to showcase the way in which we police major events here in South Wales. “One of the FAW’s key strategic objectives is to attract major football finals to Wales, and to use those finals to inspire increased participation in the sport and the many cultural and health benefits associated with it. “While many hundreds of millions of people worldwide will watch the men’s and women’s finals on TV, the people of Wales will have opportunities to engage with and enjoy all the associated events. South Wales Police Superintendent Steve Furnham said: “An event of this magnitude requires a large scale safety and security operation which has been in the planning along with our partners for months. “We will be welcoming hundreds of thousands of visitors to our capital city and we want them to be able to look back on their experience with great memories of their visit to Wales.